When Newt Gingrich authored the first Contract with America in 1994, it helped lead to a seismic political shift in Washington and paved the way for Republican victories in Congress — after almost five decades in the minority. 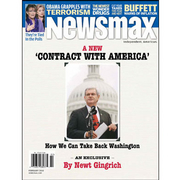 Now, in an exclusive article for Newsmax magazine, the former House speaker reveals what a new "Contract with America" must offer and how it can take back Washington. The effect of the first Contract was stunning. In 1994, it played a key role in the GOP gaining 9 million new votes over 1990 and winning 54 House seats — giving it control of the lower chamber for the first time in 40 years. Fast forward to 2010 and Gingrich again is calling Americans to action by revealing a proposal for a new Contract with America. For the first time, Speaker Gingrich outlines what a new Contract should say and how it can re-shape America — in this exclusive cover story. In this special report, Gingrich explains the key to a GOP comeback: The GOP needs to become an alternative party, not an opposition party. 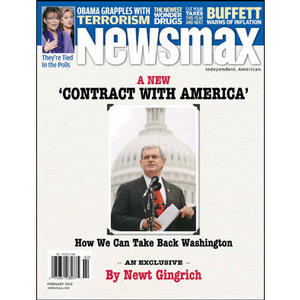 Best-selling author Gingrich writes in Newsmax magazine: "A contract in September 2010 would be a powerful unifier for all those who are tired of the corruption and waste of Washington and the alien views of the secular-socialist coalition seeking to radically change America." Newt Gingrich is one America's most thoughtful conservatives — one touted as a top-tier presidential candidate. Agree or disagree, you must listen to Newt Gingrich's ideas. The need for an "American Energy Plan"
How to stop the Justice Department from "protecting terrorists"
Newt's "Job One for Government"
Chuck Norris: Global warming is a "con game"